It’s official! 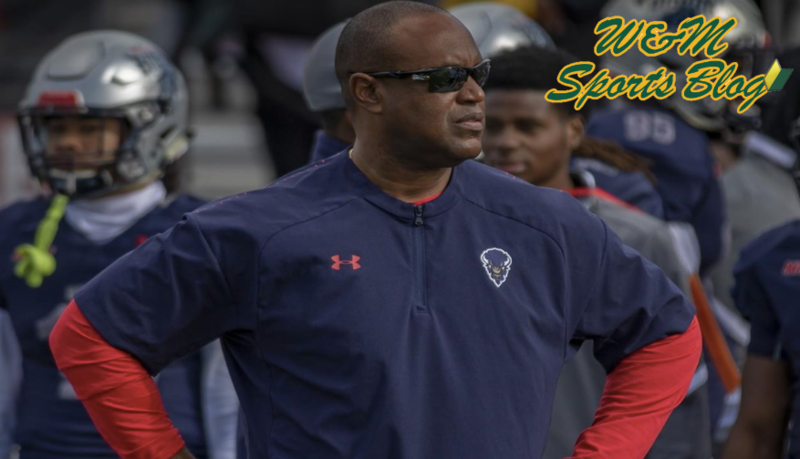 Mike London, most recently the Head Coach of the Howard Bison, is now the Head Coach of your William & Mary Tribe. Yes, this is the same Mike London that served at UVA for six seasons, and who won an FCS National Championship with Richmond. Perhaps most importantly, and as noted in one of our recent articles, London actually served as the William & Mary Defensive Line Coach under Jimmye Laycock from 1991-1994. He knows what it means to coach and recruit at a school like William & Mary. And we’re big fans of the hire. Since his tenure at Howard, Coach London has coached six Bison to All-MEAC honors, including 2017 MEAC Rookie of the Year quarterback Caylin Newton. London’s first season at HU began with the program’s first FBS win as the Bison beat UNLV, which according to ESPN, deemed the biggest upset in college football history. Furthermore, Howard finished second in the conference with a 6-2 mark while posting its first winning season since 2012. Furthermore, London was named a finalist for the 31st STATS FCS Eddie Robinson Award after winning the 2017 American Football Coaches Association (AFCA) Regional Coach of the Year award. In his first season at the helm in 2017, London led the Bison to a 7-4 (6-2 MEAC) finish, good enough for 2nd in the league. This season, the Bison finished just 4-6, 5th in the MEAC. Regardless, London invigorated a program that had not experienced a winning season since 2012. Like he did at Richmond, London proved that he was able to produce results at the FCS level. And that’s something that gets us excited. Check out London’s intro press conference when he got the UVA job. In it, he talks about recruiting student athletes who want both great academics and to compete for championships. Sounds familiar, doesn’t it? London [came] to Howard University after serving as an associate head coach/defensive line coach for the University of Maryland Terrapins. Before coaching the Terrapins, he was the head coach at the University of Virginia and the University of Richmond, respectfully for eight seasons. A highly-regarded recruiter, London helped bring in four top-35 classes during his tenure in Charlottesville and brought in two Virginia-bred five-star recruits in 2014 (247Sports). London led Virginia to an 8-5 season in 2011 and was named ACC Coach of the Year. 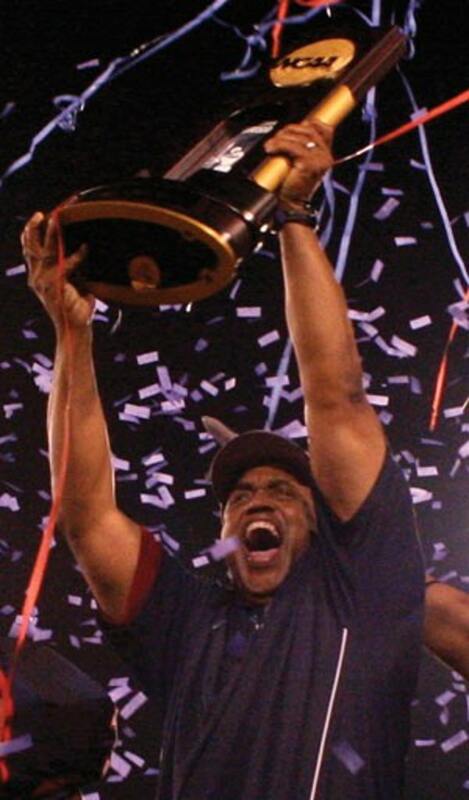 As the head coach at Richmond (2008-09), London captured 24 wins and led the Spiders to the FCS Championship in his first season. 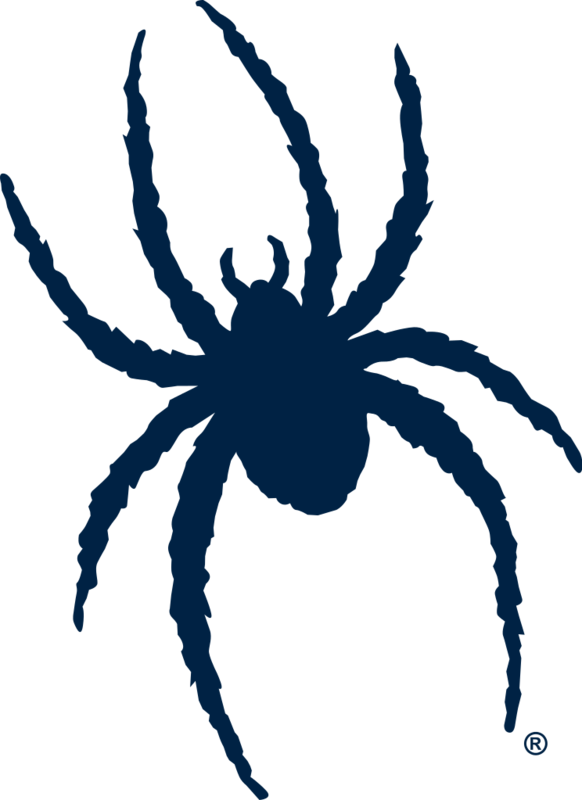 He helped 28 Spiders achieve all-conference honors in just two seasons. To play devil’s advocate for a moment, one could say that London’s Richmond tenure has a question mark. Most notably, detractors will say that he inherited an already-strong Richmond team, after previous Richmond Head Coach Dave Clawson left to become the Offensive Coordinator at Tennessee. London would go on to win a National Championship in his first year with Richmond, before garnering the team an AP Top-25 vote (yes, that includes FBS schools) in his next season. Following that second season, London would sign on as UVA’s new Head Coach. However, we just don’t buy the argument, which when simplified, is: London only won because he had great players (that he didn’t recruit). The counter to that is to say that perhaps London’s greatest attribute as a Head Coach is just that: his ability to recruit. As mentioned above, at UVA, London brought in four top-35 classes, including the acquisition of two Virginia-born five-star recruits. His abilities to recruit at a lowly FBS school like UVA prove that he’s certainly capable of recruiting players similar to those that Dave Clawson brought in before leaving for Tennessee. 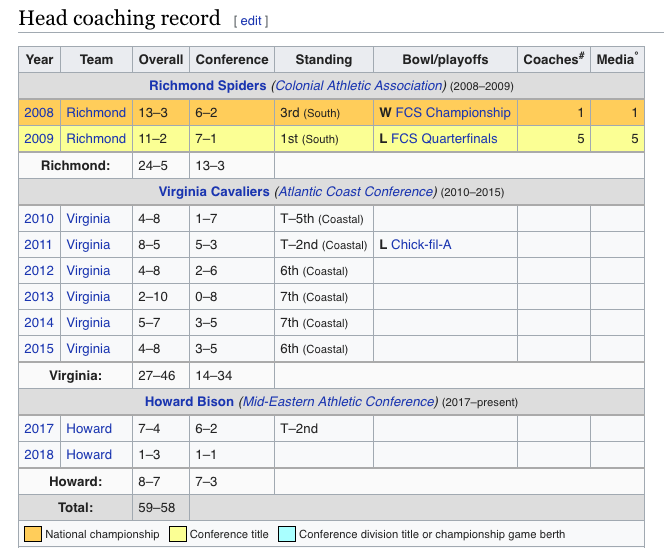 Beyond recruiting, London’s years at Richmond (and Howard) show that he certainly has the coaching ability to maximize talent at the FCS level. Say what you will about his time at UVA — but last I checked, W&M doesn’t play in the FBS. So put these two things together, his recruiting abilities, and proven success at the FCS level, and London already has a recipe for success at William & Mary. London inherits a team with depth, but one that hasn’t produced a winning season since 2015. The quarterback situation is unsettled, with multiple players garnering starts over the past two seasons; the position will certainly be an immediate area of focus for London. Most interesting to us will be what London is able to do with the William & Mary brand name in the world of recruiting. Obviously, the school recruits a high caliber of student-athlete, typically unknown to just about every other D-1 school outside of the Ivy League (and that’s not hyperbole). Having once served as the William & Mary Defensive Line Coach in the early 1990s, London should be well aware of the type of player the program is looking for. And at 58 years old, we’re hoping that he’s with W&M for the long-haul toward retirement — no immediate jumps to take FBS coaching positions, and we have to assume that was a major requirement for him landing the job. Similarly, we want to see what Offensive and Defensive Coordinators London brings in, and what philosophies they will implement. Will the team employ a spread, pass-first offense? Or will the team be defensive-minded, and ground-and-pound on offense? “William & Mary has never employed an African-American head coach in a men’s sport.” 🤔 Wow. Powerful statement. And one we wouldn’t expect. This could change very soon post-Laycock. Immediately answering these offensive and defensive philosophies is priority #1 for a first-year head coach that will be looking to bring in new recruits to fit his these schematics. Either way, we couldn’t be more excited about the London hire. With it, W&M Athletics Director Samantha Huge has shown a clear vision for the athletics program as a whole. It’s also an historic hire, as Mike London becomes the first-ever African American Head Coach of a William & Mary men’s sport. It’s about time. And we’re all for it. Is it time to start next season yet?